As a Proud Supporter YOU GIVE…. – Some form of Special Offer or Discount of your choice relevant to your business. Make it available with immediate effect to athletes visiting to train for IRONMAN. – We’d like you to continue or even upgrade this offer during IRONMAN race week. As a Proud Supporter YOU GET…. – Stickers indicating that your business is a ‘PROUD SUPPORTER of IRONMAN’ with the official IRONMAN branding. – Artwork and guidelines for using the branding on your own printed material, media adverts and websites etc. – Permission to publicise your offer/deal to attract passing athletes between now and race day. – Listing in our Athlete and Spectator Guides leading up to and during the event. – Option to review your offer for race week. 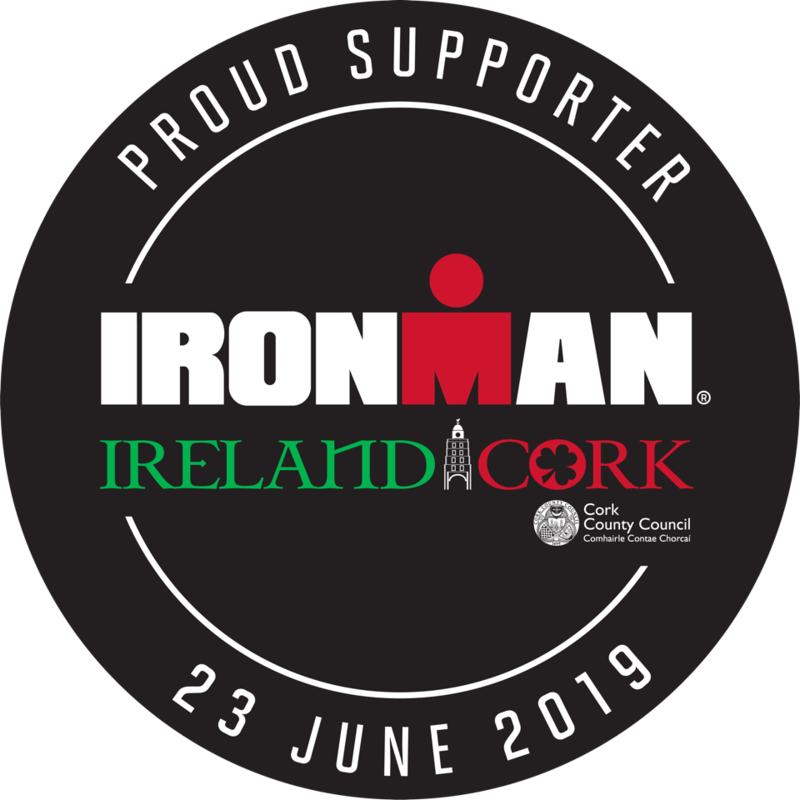 – Your IRONMAN Flag may be collected at Youghal Credit Union upon registration.